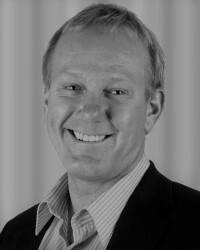 Gary Bailey has been a professional speaker for over 25 years, and was inducted into the speakers Hall of Fame (SA) in 2010. He co-wrote a book with Professor Rakesh Sondhi of Henley in Oxford in 2010, titled Succeed Under Pressure, and the forward was by his famous ex manager, Sir Alex Ferguson. Renowned goal keeper, Bailey’s soccer career began when he joined Wits University in Johannesburg to study Civil Engineering and play on the University’s team. His father Roy, then the coach for South Africa’s National Soccer team encouraged Gary, to go to Manchester for a trial with Manchester United. In 1978, he was signed up and made his debut with Manchester United. In 1983, Bailey won his first FA Cup final vs Brighton in a replay after losing to Arsenal in the 1979 Cup final, and then went on to win again in 1985 vs Everton. He represented the England national team twice at senior level. Bailey developed a serious knee injury during training at the 1986 FIFA World Cup and missed most of the 1986–87 season, after which he retired and returned to South Africa. He resumed his career in 1988 and joined Kaizer Chiefs, the biggest soccer club in South Africa, spending 2 years playing for them, and winning 6 trophies in that time. After retiring from Kaizer Chiefs he became a professional speaker and radio presenter in Johannesburg on Talk Radio 702, and then began his television career at SABC, moving to Super Sport as a soccer presenter, where he presented and hosted for 25 years. Gary has spoken for virtually every top company, in North and South America, Africa, Middle East, Europe and the Far East – companies include Microsoft, IBM, Nike, Coca Cola, AON, Mercedes Benz, SAB Miller and many more. His topic of “Success Under Pressure” is based on his own experiences of how to keep goal for the biggest sports franchise in the world, Manchester United; then to be a TV presenter for 25 years and always having to look good and say the right things: to nearly going bankrupt after being a dollar millionaire before he was 30, and many more stories of stress and pressure that he has dealt with using his 5 GREAT principles. He now enjoys speaking with his wife, Michelle Mclean-Bailey, who as Miss Universe in 1992 has also lived an incredibly pressurized life and together they not only share their stories and how they use the GREAT principles, but also how to make the principles a habit that will lead to greater success.